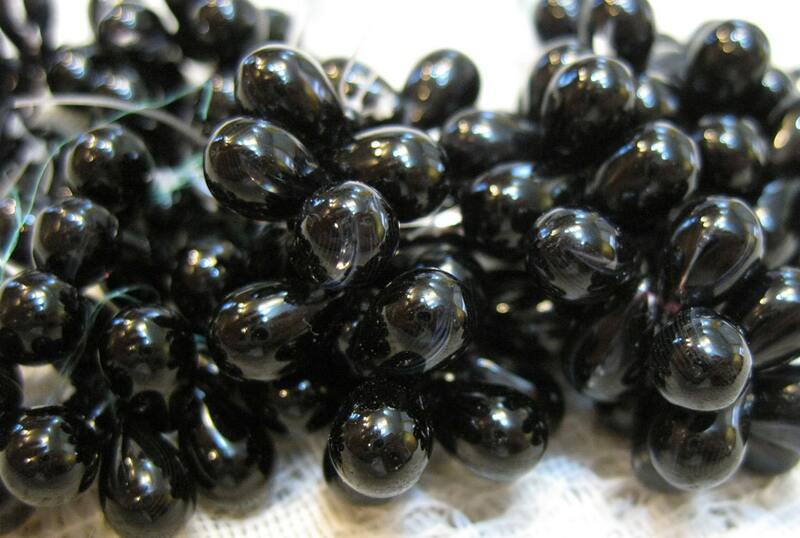 25 opaque black Czech pressed glass teardrop beads. Beads are top drilled and measure 6mm x 9mm. Awesome selection of beads, thanks for the fast shipping.